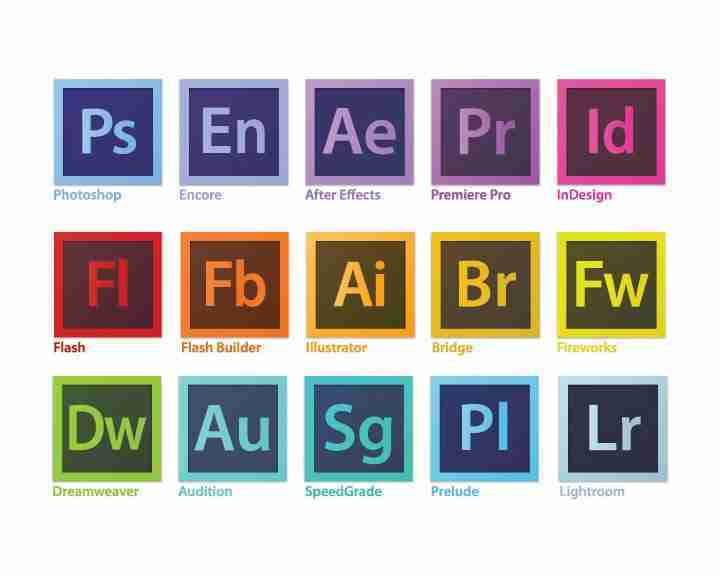 Adobe Creative Cloud gives you the entire collection of Adobe desktop and mobile apps, from essentials like Photoshop to innovative new tools like Adobe XD. You also get built-in templates to jump-start your designs and step-by-step tutorials to help you get up to speed quickly and sharpen your skills. It′s your entire creative world, all in one place. Adobe Audition is a digital audio editor. It has more editing features than its sibling, Adobe Soundbooth. Adobe Encore is a specialized transcoding app; it converts the output of Adobe Premiere and Adobe After Effects to a format suitable for DVD and Blu-ray players. Files are automatically transcoded to MPEG-2 or H.264/MPEG-4 AVC video and Dolby Digital audio. DVD and Blu-ray menus can be created and edited in Adobe Photoshop using layering techniques. Adobe Animate (formerly Adobe Flash Professional), a multimedia authoring program used to create web apps, flash games, films and mobile widgets in the eponymous Adobe Flash format. Its features include a scripting language called ActionScript and bi-directional streaming of digital audio and video. Adobe Illustrator is a vector graphics editor geared towards print publications. Adobe Media Encoder is a general-purpose transcoding app. Adobe Premiere Pro is a real-time, timeline-based video editing app. Premiere is optimized for working on computers with more than one CPU, graphic cards and computer monitors. Its supports the contemporary digital camera and capture card feeds, as well as their file formats, as input. Adobe Soundbooth is digital audio editor. It has fewer capabilities than its sibling, Adobe Audition.